Introducing “Scientist McGee’s Annual Cocktail Menu: 2011 Edition” – Now you can play along at home with the Scientist! I’ve had a lot of fun along the way, trying new drinks and sharing them with all of you! All of you have been really nice and supportive, excited to see what new concoctions the Scientist would post next. It’s fun enjoying the drinks and it’s also fun to document them so that I can refer back to them later on, but it’s obviously a whole lot more fun to do, knowing that my friends and some like-minded strangers are actually reading it and getting a kick out of it too! So thanks a lot for having fun with me, and I hope you tag along for some more cocktails in 2012 as well. 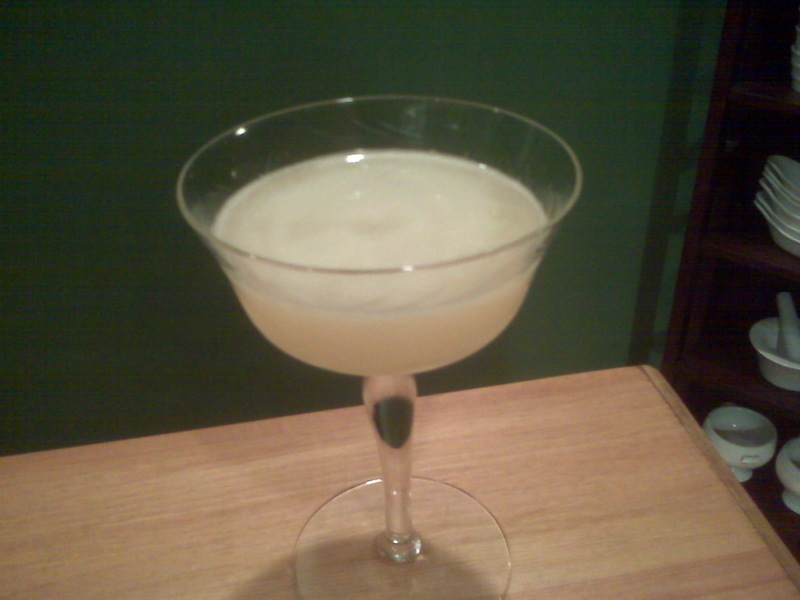 To celebrate the close of the first year of the Scientist McGee blog, I’m starting what will hopefully be an annual tradition – a recap of the cocktails shared on the blog in that year, in “Cocktail Book” form! 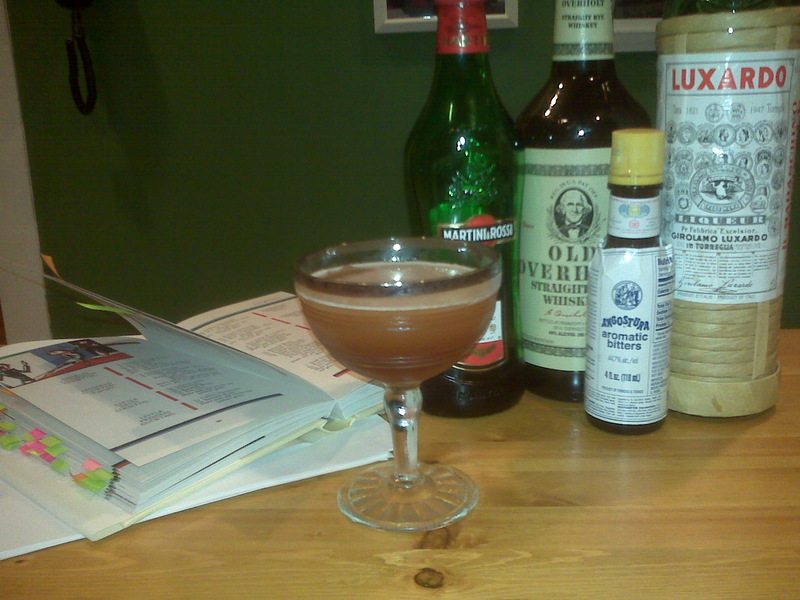 I recently made a drink called the Martinez. 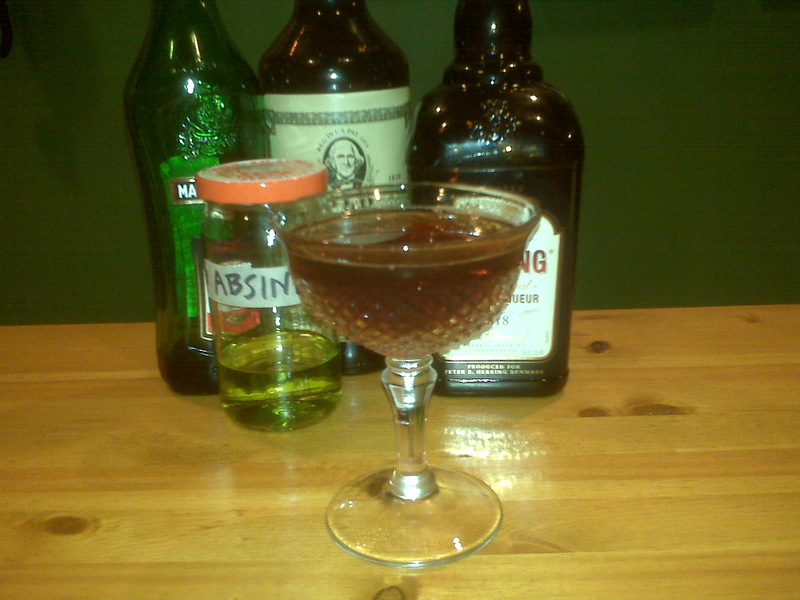 The Martinez is thought to be the precursor to the modern day Martini. One of the most widely accepted stories about the drink’s origin points to the famous bartender, Jerry Thomas. 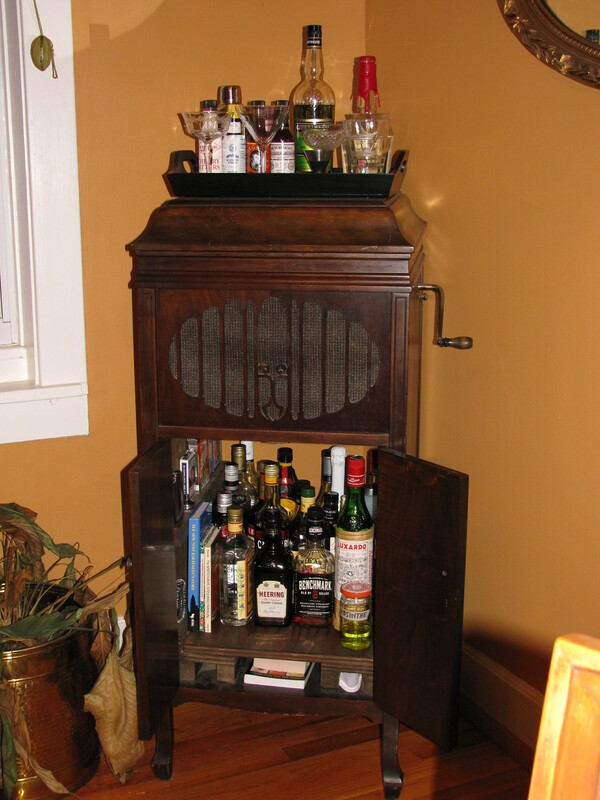 Jerry was tending bar at the Occidental Hotel in San Francisco and made the drink for a gold miner who was on his way to the town of Martinez, CA. 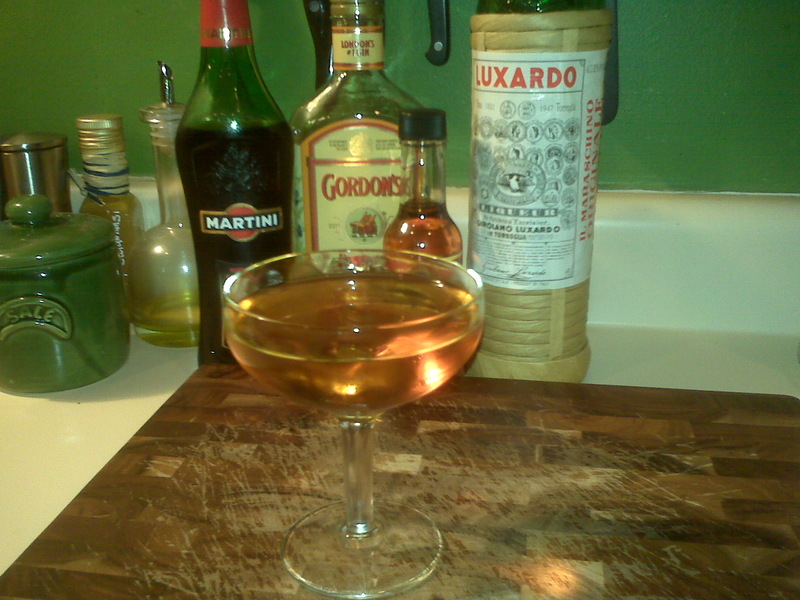 The recipe for the Martinez first appears in print in Jerry’s 1887 book, and called for Old Tom gin, sweet vermouth, a dash of maraschino and bitters, as well as a slice of lemon and two dashes of gum syrup. 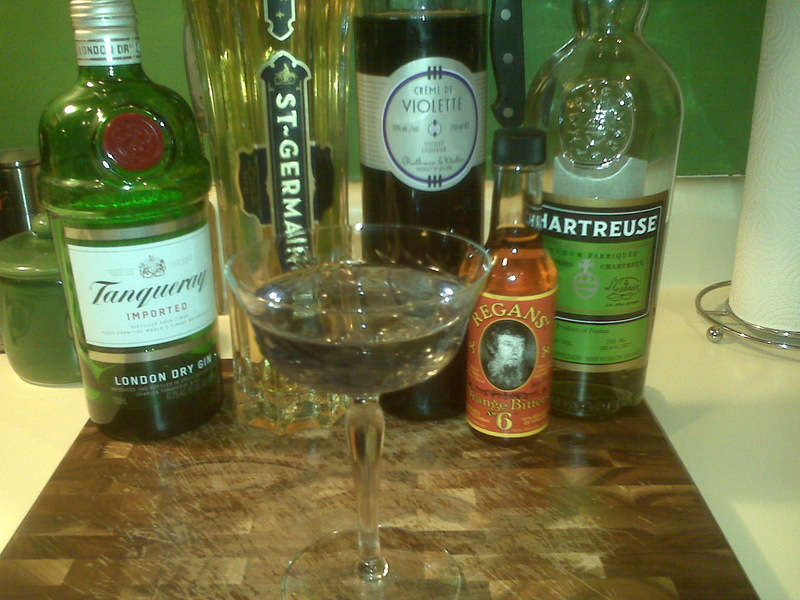 Today, many recipes for the Martinez call for a mix of gin, sweet vermouth, maraschino liqueur and bitters. 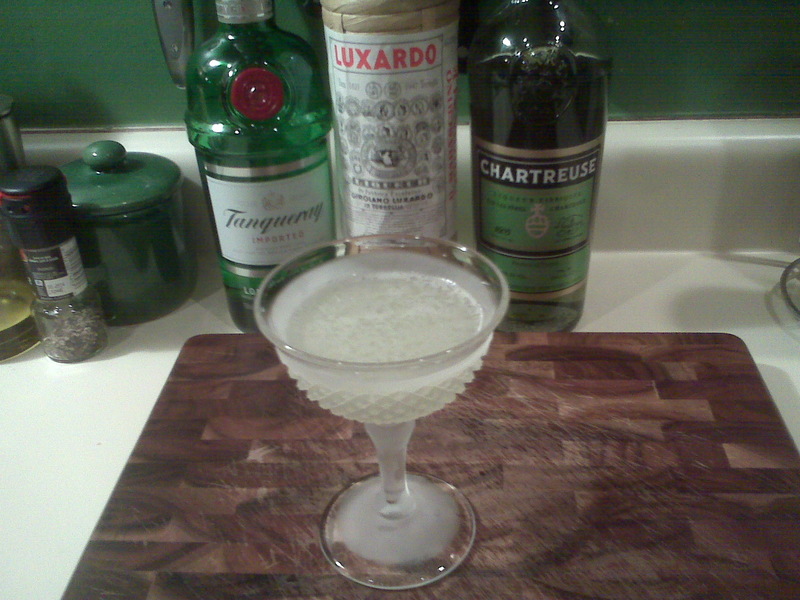 And apparently, the great Martini evolved from this drink, to the drink we love of just gin and dry vermouth. Very interesting story and piece of history, yes, but the thing that struck me the most when making and enjoying this drink, however, was just how important of a role maraschino liqueur plays in the world of cocktails… especially in the world of my favorite cocktails. 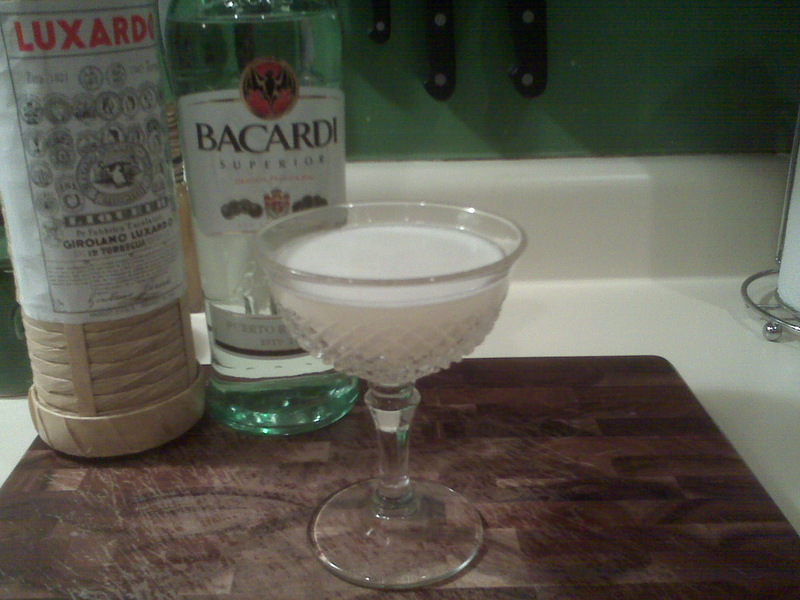 I originally bought some maraschino liqueur because I’d noticed it in quite a few older drink recipes. I thought of it originally as an essential, but minor character in my drinks. But as I sipped on the Martinez drink I’d just made, I realized how much I’d come to rely on this great liqueur to make what would be an average drink become amazing. I realized that when perusing drink books, the ones with maraschino would jump out at me subconsciensly, because when I see a drink has maraschino, it’s almost certain that I’ll enjoy it. It’s definitely never the leading ingredient, but it’s often the backbone of a great drink. I always seem to compare it to some of the great supporting actors, like Philip Seymour Hoffman. I know that when Philip Seymour Hoffman’s in a movie, chances are I’m going to like it, because he’ll add so much to the movie and sometimes become my favorite character. That’s what maraschino liqueur is to me! It’s the one consistent through many of the drinks I love and crave. 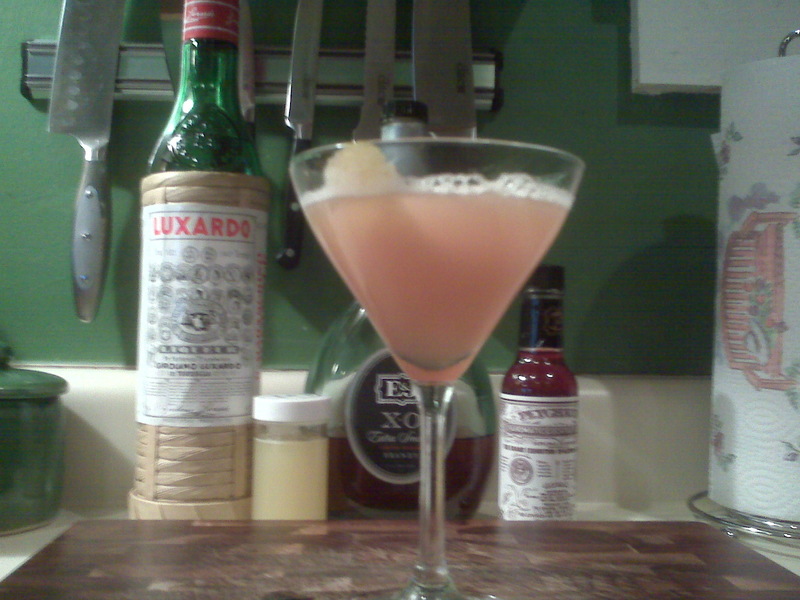 It appears in the Last Word, the Colonial, Harry Craddock’s Manhattan and the Aviation. These drinks are all near the top of my list for favorite drinks, and maraschino liqueur is definitely up there near the top of my favorite liqueurs. 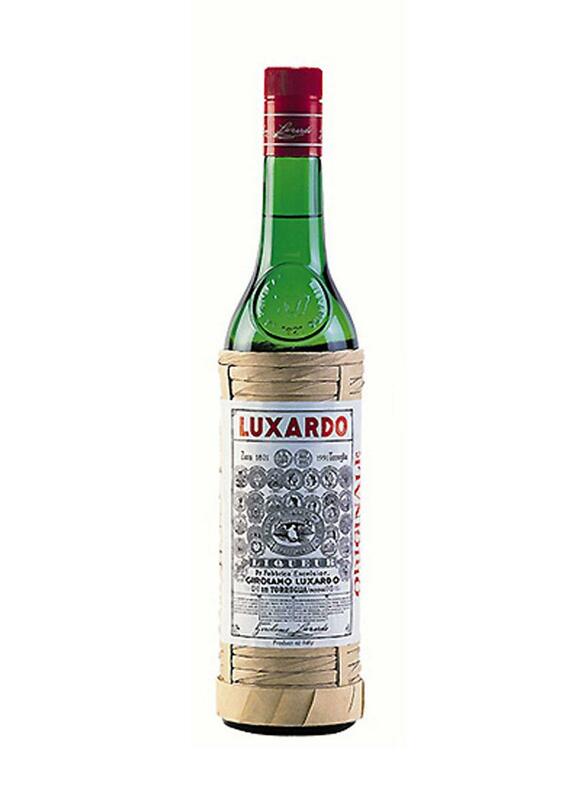 So, to celebrate this wonderful liqueur and give it its just deserts, I’m posting one new recipe for my blog (the Martinez), along with all of the drinks that have appeared over the last 9 posts of mine that feature the wonderful Luxardo maraschino liqueur. Cheers to the maraschino liqueur! A good ole all-alcohol cocktail, that’s indeed nice and heavy on the taste of gin, while being sweeter, because of the vermouth, like a Manhattan. Stir well and strain in to a chilled cocktail glass. In the top 3 of my favorite cocktails – an amazing drink! This is my go-to simple, summer evening drink. It’s quick’n’easy to make, and a perfect cocktail. Shake well and strain in to a chilled cocktail glass. This is a great, simple showcase and use of the maraschino liqueur. Very good drink. A nice twist on the classic Aviation. 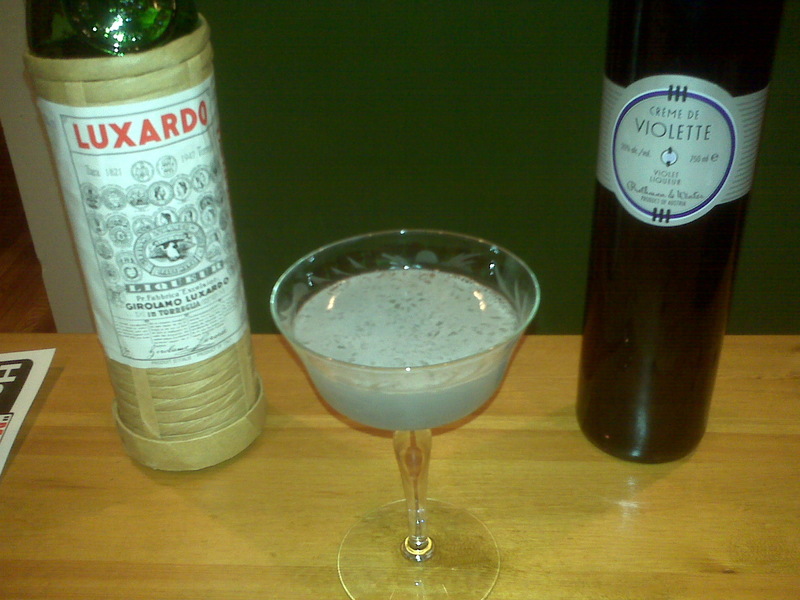 The creme de violette adds a strong, floral component. This is a classic drink, perfect for summertime. It’s sweet & refreshing without being “candy sweet”, due in large part to the nutty element of the maraschino liqueur. Great drink! It’s a refreshing, summertime drink that’s not too fruity or sweet, thanks to the brandy and the maraschino. This drink is named after Ernest Hemingway, as it was one of the drinks he would enjoy at the El Floridita bar in Havana, Cuba. Harry Craddock says your father smells of elderberries! I’m somewhat obsessed with liqueurs. Often, I get obsessed with the idea behind a liqueur. Something about one will pique my interest… maybe it’ll be an intriguing recipe for a drink it’s in (i.e. 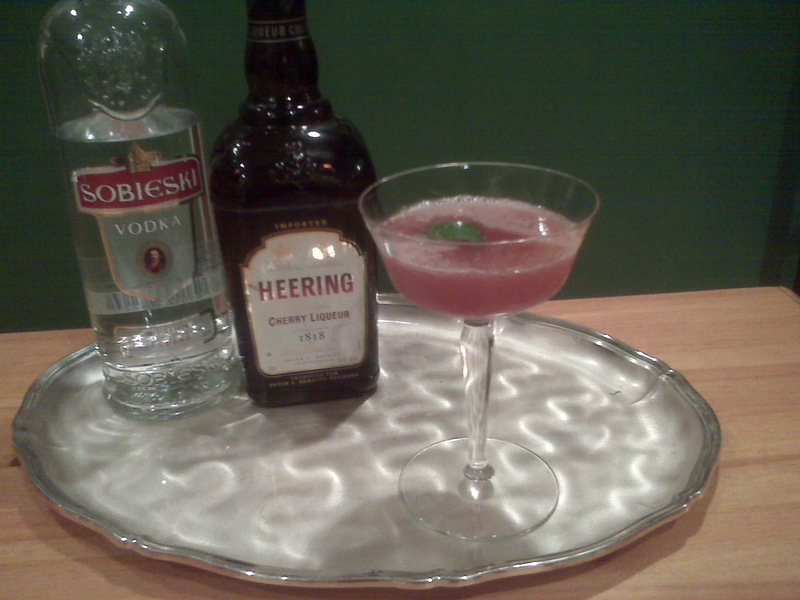 Cherry Heering and the “Blood & Sand”), maybe it’ll be the story and legend behind it (i.e. Chartreuse and the legend that only 3 monks know the true recipe at any given time), or maybe it’ll be the curiosity of a flavor I’ve never tasted in my life, along with a bottle that’s nearly as pretty as an old European church. 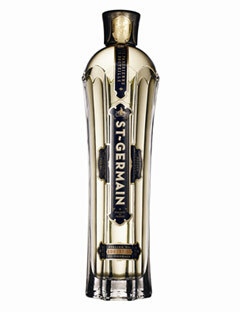 This last example is what caught my attention and began my curious obsession to try St. Germain’s elderflower liqueur. The bottle alone should get anyone excited to at least try a taste. And when I finally got a bottle of my own, I was very pleased with how this fancy liqueur tastes. I was a little worried that it was going to be another liqueur as floral as creme de violette (nothing against creme de violette, I just wanted something different). It was different. I saw a description somewhere online that was spot on… this person said that it’s floral, but not too floral, sweet, but not too sweet. This is true – I was really happy with its unique flavor. True, it’s floral, but only in a subtle way. It also has quite a few other flavors going on as well, to make a very complex flavor. It’s got tastes of pear, peach, honey and citrus, and probably many more. It’s damn good, and it really spruces up a drink. It’s a great way to take a very traditional cocktail that you’re used to having, and that’s good, but that you want to make a little more special. 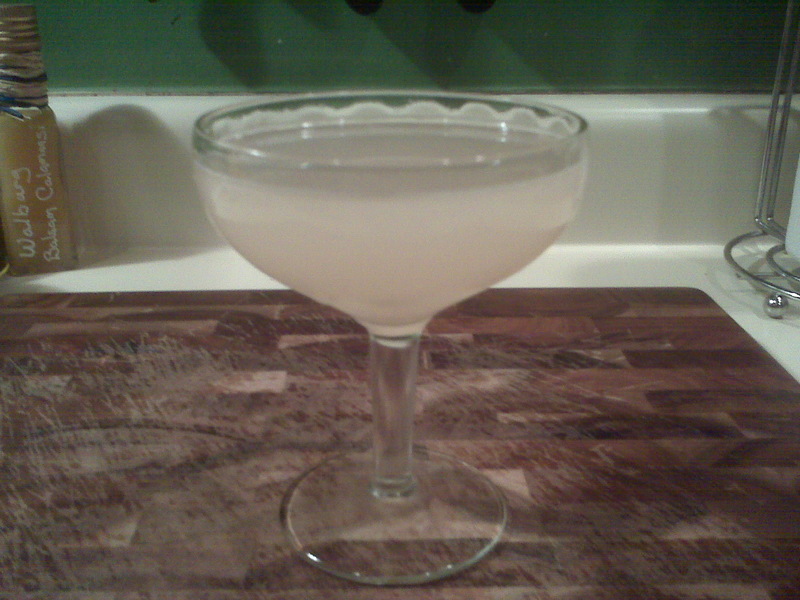 For example, the first drink I made was the “French Gimlet”. I made this very simple drink because I wanted the St. Germain to stand out, so that I could taste the liqueur I’d just purchased. And this is a perfect example of taking a very simple drink and making it something a little more unique and something special by adding the St. Germain. 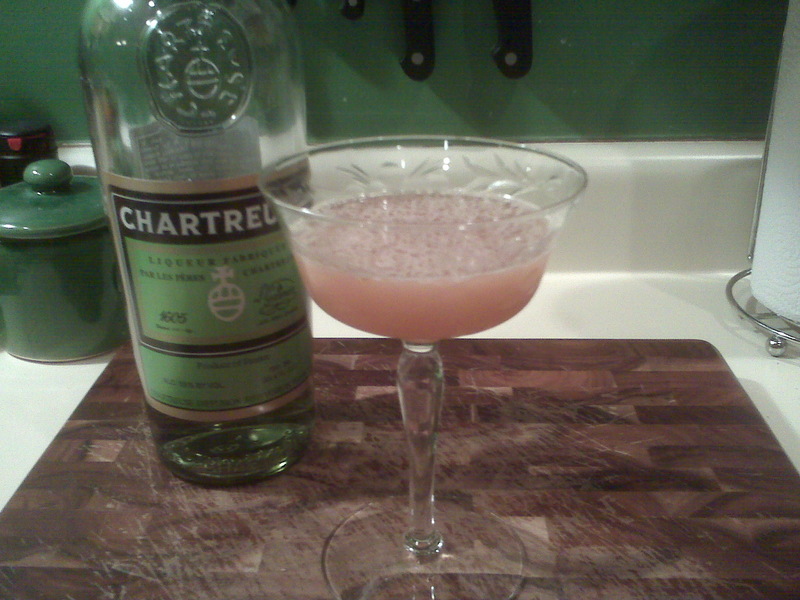 The second drink I tried with my new St. Germain was one I found online with a silly french play-on-words for a name. Paired with the creme de violette, this drink was very floral, but in a very soft manner. 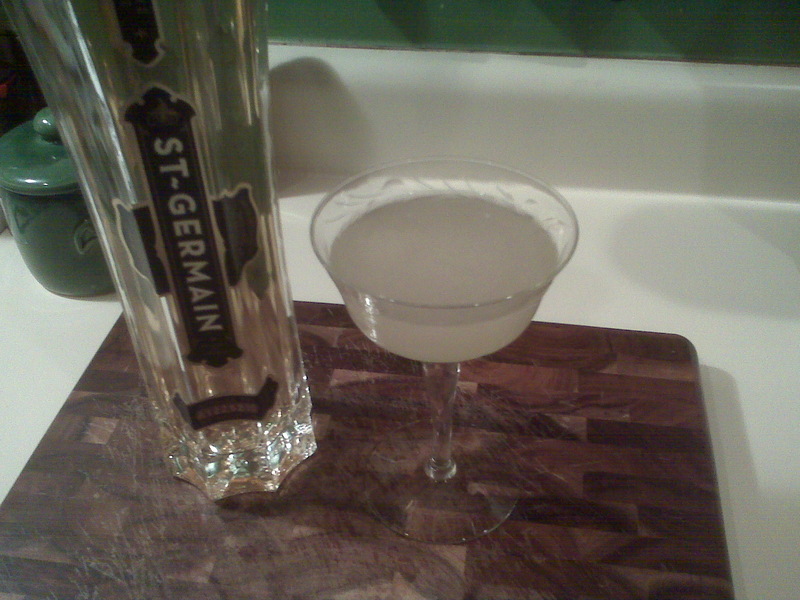 I find creme de violette to have an intense floral character, whereas the St. Germain has a nice, soft floral aspect. So mixed, it was a nice balance. This was a fun drink with its many different notes of flavors, all held together with the old, familiar background of gin. Stir and then strain in to a chilled cocktail glass. The reason I picked up a bottle of St. Germain a few days ago was because I had a thirst for a cocktail using grapefruit juice. I stopped by the ole grocery store to pick up some grapefruit juice, and that’s when I spotted the bottle of St. Germain being discontinued at this store and at a bargain price. This drink is named after Ernest Hemingway, as it was reportedly one of the drinks he’d drink at the El Floridita bar in Havana, Cuba, in which he frequented. Apparently, Hemingway enjoyed his drinks a bit stronger though, so he’d order it as a double, using twice as much rum. This gave way to the drink also being referred to as a “Paba Doble” (“doble” meaning double). I thought this drink was just OK… really nothing special. Maybe next time I’ll make it as a double, with 3 ounces of rum, and maybe I’ll like it more too? In addition to my recent acquisition of the St. Germain, I’ve been spending time flipping through the pages of my newest cocktail book, “The Savoy Cocktail Book”. This is a great old book with hundreds of recipes, compiled by Harry Craddock and published in 1930. Harry Craddock was the bartender at the American Bar inside the Savoy Hotel in London, England. Harry Craddock left the U.S. for England to continue bartending, when Prohibition struck. I’ve made the following two cocktails from the book. I was not very fond of the latter (Champs Elysees), but the former was magnificent! In his book, it’s just referred to as the classic “Manhattan”, but I refer to it as “Harry’s Manhattan” because I thought it was neat that he suggested using a couple dashes of maraschino liqueur rather than the modern tradition of using a maraschino cherry. 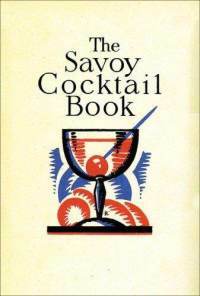 (This is my first and only old cocktail book, so maybe this practice wasn’t just Harry’s, but rather the old way of doing it? I’m not sure.) The modern maraschino cherry is pretty much sugar and red food coloring, whereas the maraschino liqueur is true to the marasca cherries it’s made from and even features a nutty taste that comes from the pits of the cherries. This was one of the best Manhattan cocktails I’ve ever had! It wasn’t quite as sweet as a Manhattan made with maraschino cherries, and it tasted almost silkier and smoother. It’s unusual that Harry suggests shaking the drink as well. Most drinks that consist of all alcoholic ingredients call for being stirred. I don’t know, but I’m converted… this is my new way of making a Manhattan. Thanks Harry! Whereas I loved the drink above, I was not a fan of this drink. I’m not too sure of the brandy & Chartreuse combo. I can’t remember how or why I found this drink, but I stumbled across it online somewhere. What a lucky stumble! This drink was really good! It’s a nice stiff drink, with an interesting, complex taste. The absinthe in the forefront made the drink quite intense, while the Cherry Heering hung out in the background offering a nice subtle base. Very tasty indeed. This drink too… I don’t know how or why I found this one, but I did so online as well. And again, I really liked this one too. It’s nothing fancy, just a good, solid drink. If you ever want a solid, good cherry cocktail, this is it. It’s been quite a while since I’ve posted an update to the ole Scientist McGee’s blog… a really long time. It seems like ages in fact. Since my last post, over a month ago, I took a trip to Jamaica. It was a wonderful and restful time away from the daily grind. My wife and I stayed at an all-inclusive resort in Montego Bay… all you can eat, all you can drink. I had a lot of tropical drinks, from morning to mid-morning, to lunch, to afternoon, to dinner, to after dinner and so on… repeat for 7 days. It was great… the drinks were very nice and easy and thirst quenching… lots and lots of Tequila Sunrises and an occassional Margarita thrown in there, amongst random others like the Bob Marley, Rum Punch, Pina Colata, etc. I even got some classic drinks mixed in as well, like a Rusty Nail, a Harvey Wallbanger, a Manhattan, etc. The people in Jamaica are amongst the nicest I’ve ever met, and the bartenders were no exception. They were happy to oblige and make a few drinks for me that weren’t on the menu because you can only take so much rum and tropical drinks after a few days. I even tried a new drink that I’d read about in the book I brought along to read on the beach. (Which reminds me… I’ve added a new piece to the side bar of my blog, on the right-hand side… It’s a list of books that I own or have read, and a brief rating of what I thought of them… check it out. And if you have any recommendations for me, please let me know.) The book I read on the beach was called “The Little Green Book of Absinthe”, and as the title suggests, it’s a book dedicated entirely to Absinthe. Pretty fun read, with little anecdotes, quotes and tales of the history of Absinthe. I was even happier to notice that the bartenders at the resort had in fact a bottle of Pernod behind the bar. A lot of the drinks in the book had too unusual of ingredients for me to order them, but one in particular struck my fancy on the 5th day of our stay. My wife had gotten hooked on Mimosas while we were there, and so I thought that the “Death in the Afternoon” cocktail sounded like a perfect companion to hers. Stir together in a champagne flute. 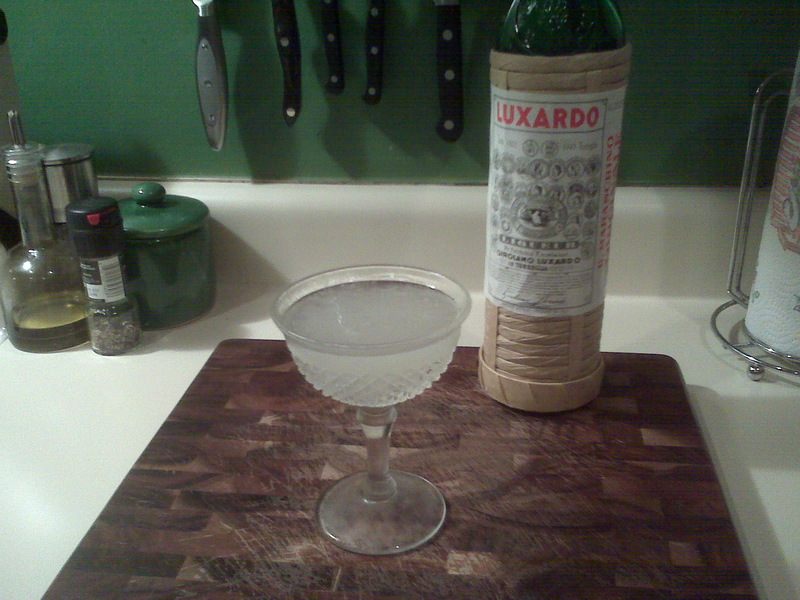 Shortly after a post of mine a couple back, called “Trips back and forth to the booze merchant…”, in which I had just recently acquired some maraschino liqueur, I got a great tip from a reader who recommended me trying it with some Creme de Violette (some times referred to as Creme Yvette). Thank you to him, because it’s a great addition and a serious twist on the drink itself! As you might imagine, the creme de violette is very floral and a very strong flavor… a little added to a drink goes a long way, and definitely “blues” up the color of the drink, which is kind of fun. In the Aviation, it definitely adds another dimension. In this drink, using only 1/4 ounce is nice as then it’s somewhat subtle, as opposed to its strong presence in the “Blue Moon” coming up next. Fresh in to my creme de violette kick, I attended a wonderful wedding reception with a very nice open bar and I spotted a bottle of the creme de violette behind the bar… but no maraschino liqueur. I asked the bartender what he’d recommend for the creme de violette, and he made me a “Blue Moon”. Pretty great drink, I must say. 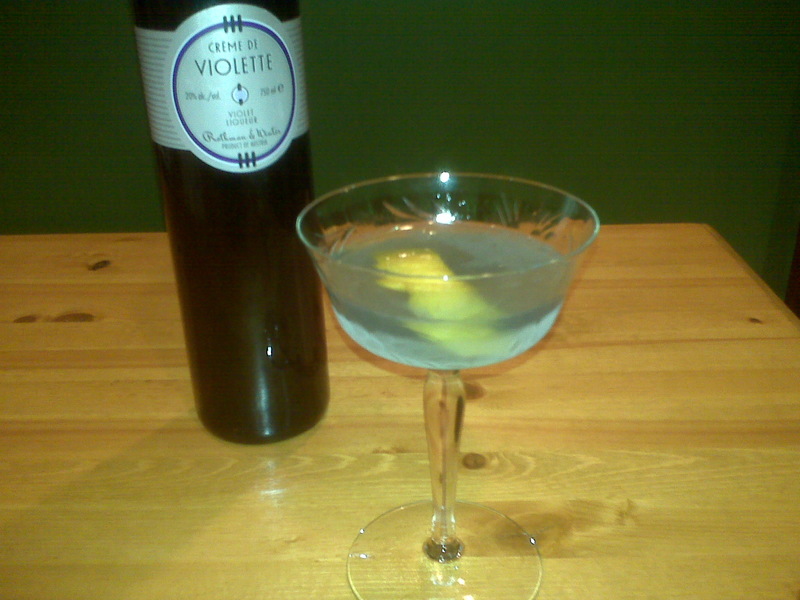 The violet melds wonderfully with the lemon, and it seems to almost bond with and transform the gin. It’s a drink of 3 really good flavors working really well together. Each flavor seems very clear and distinct, but also blend nicely to make an overall flavor greater than the sum of its parts. Another drink I grabbed from this same book was “The Stork Club”, named after a famed nightclub in New York. I didn’t care much for this drink, and after this one and “The Bronx Cocktail” from my last post, I’ve decided that I don’t care for the gin and orange juice combo in drinks. It tastes like watered down OJ to me, and similar to Tang… which is never good in my opinion. Oh well. The lime juice made it a little better, but still the gin and OJ combo tastes flat & hollow to me, leaving me wanting something more. 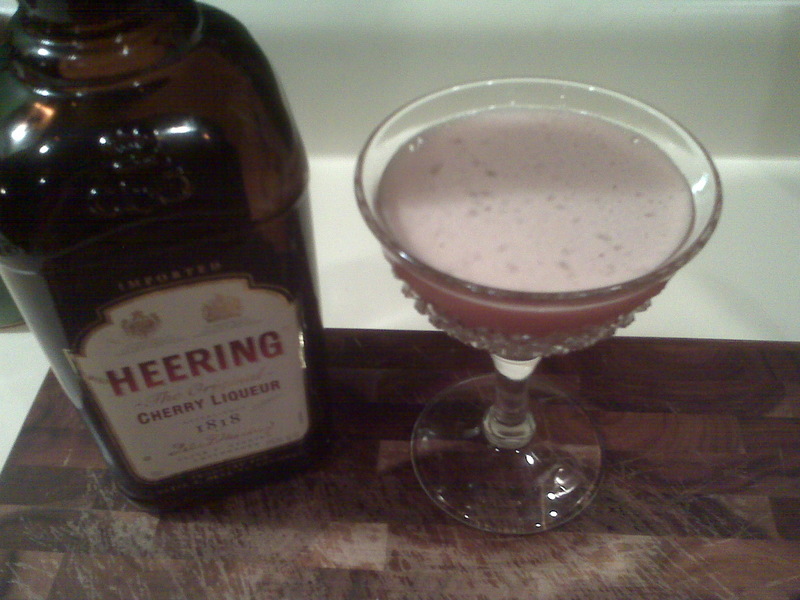 I made this drink on a whim because I wanted to try a new drink using Cherry Heering. I found this one online, and I did not like it. But full disclosure, I don’t like vodka (as you may have noticed, there are very few vodka drinks in any of my posts). Since vodka doesn’t have much of a taste, this drink tasted like I was drinking just lime juice with some Cherry Heering, and a noticeable “hole of nothingness” where the vodka was. I won’t be making this one again ever. 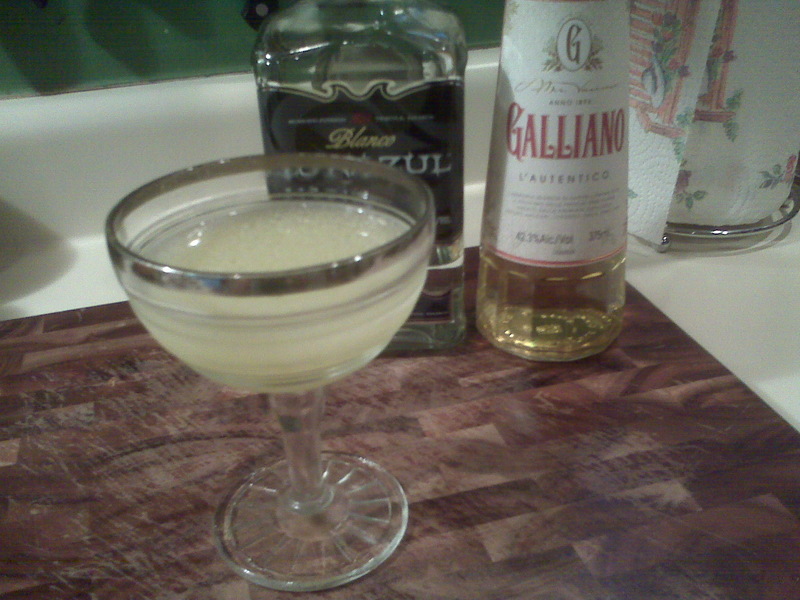 I bought my first bottle of Galliano yesterday (along with 2 new glasses, pictured here)! To be honest, I wasn’t expecting much from the Galliano, as I was sort of just buying it because my wife likes “Harvey Wallbanger” drinks, so I bought a half-bottle (375 ml). But boy was I in for a very pleasant surprise! I love it! I was under the wrong impression that Galliano was strictly a vanilla liqueur. I hadn’t realized how it has quite a bit of an herbal undertone as well, and a strong anise secondary flavor too. I don’t know why I hadn’t noticed this on the prior occassion when I had tried it before, but I hadn’t. I have to say, I think that Galliano is very good indeed. 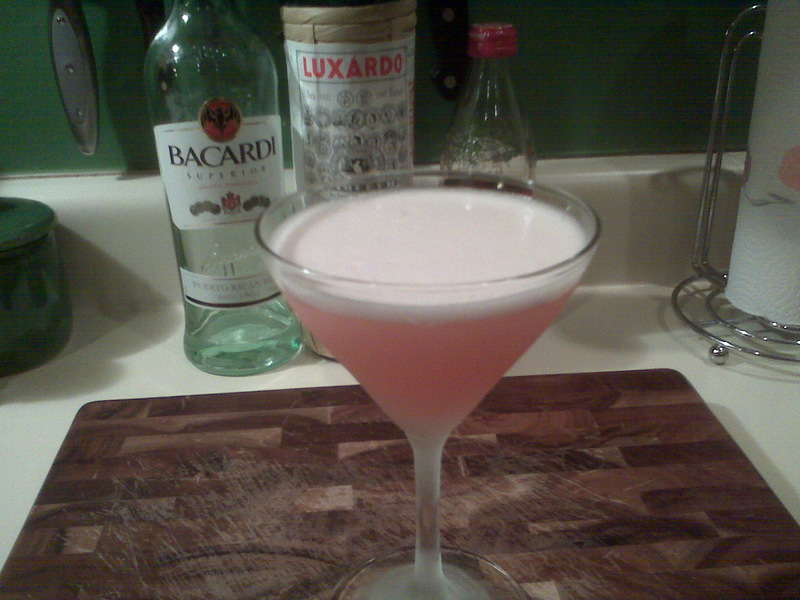 Plus I lucked out by stumbling upon a recipe for a drink that I just loved. When I brought the bottle home, I didn’t want to just make another Harvey Wallbanger, so I looked online for what I could make and figured I’d give a Galliano Margarita a shot. What the hell, eh? It was around 95 degrees out, so perfect, right? Oh my, what a treat! What a good drink! I highly recommend this to everyone. Shake well and strain in to a chilled cocktail glass. Salt rim. And last but definitely not least, is a drink I looked up also online when I found myself reminiscing about the endless Tequila Sunrises in Jamaica and also re-discovered a bottle of limoncello I’d forgotten we had in our house. This one’s a very fun drink for the summer time. Very refreshing and the orange & lemon combo is very good. 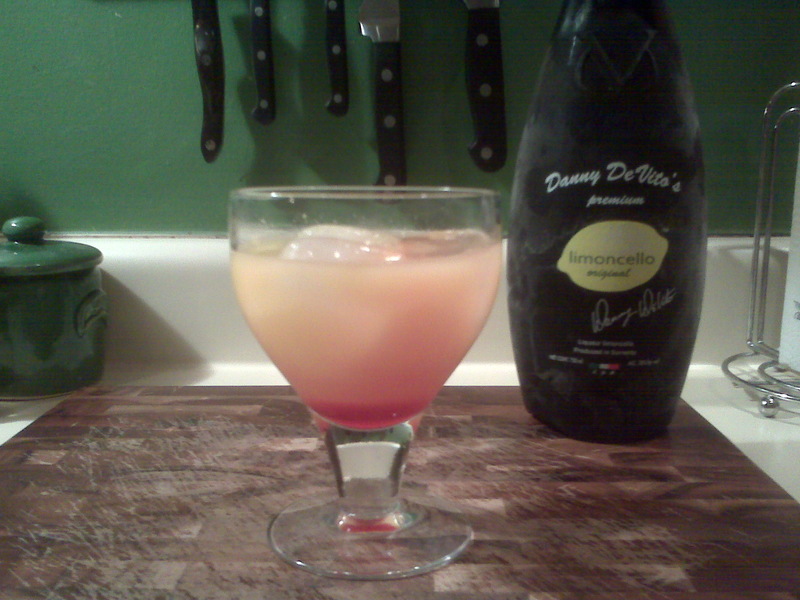 Fill a highball-sized glass with ice, and build the limoncello, followed by the orange juice, and then add the grenadine.